When working with reclaimed wood, if the builder is patient enough, the wood reveals its past and what it should be in the future. In this way, the wood tells a story. 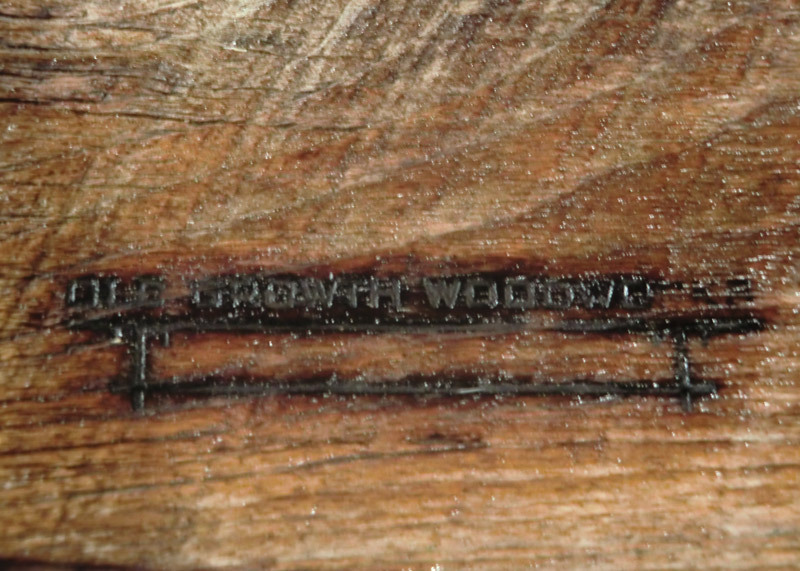 The story of the Where’ve You Been Bench begins as siding to a Civil War era barn. The long ragged edge of this bench-top, distressed from over 150 years of weathering, begged to be kept intact. This rough edge meanders longer from the leg than the freshly cut edge, as if to suggest the bench was once larger than it is today. It begs the question: where has this bench been? The birch butterfly joints add contrast to the deep red and coffee tones of the oak bench top. Consistent with the bench's story, these butterflies could have been added by a craftsman at a later date to repair the rugged crack running the length of the bench. 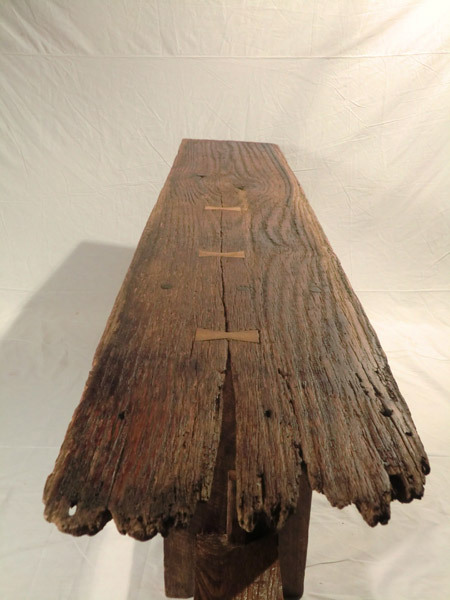 The legs and horizontal stretcher are walnut and upon close inspection show original saw marks, another reminder of the bench’s historic past. 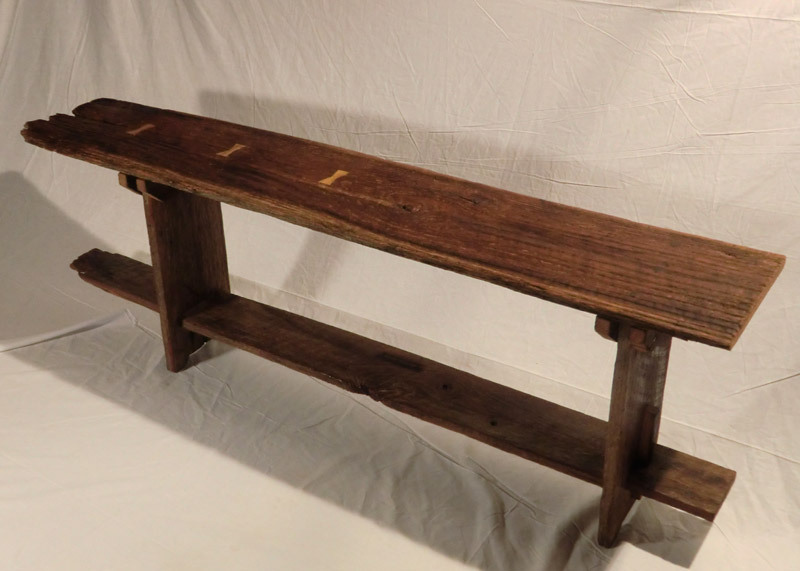 Rustic but elegant, this bench would be equally at home as a sofa table. By custom order only. Contact us to begin the collaborative process of designing a timeless custom piece of furniture.